Lady and the Blog → Contest → Enter The GoGo squeeZ Mother Of All Giveaway! 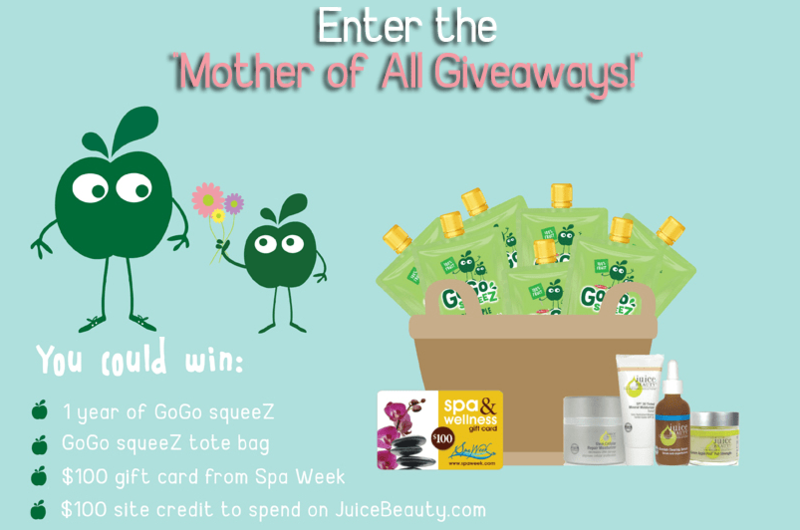 Enter The GoGo squeeZ Mother Of All Giveaway! Who says the Mother’s Day celebration is over? GoGo squeeZ has decided that they are not ready to give up honoring mom and created the “Mother of All Giveaways”. Come on! That’s a funny name. I love it. The contest will run until May 25th. Did someone say Spa Week? Um – yes, I am so in.